In a bar, the individual emitting areas (emitters) lie side by side and, together with the non-emitting areas between the emitters, they form the so-called active layer. The number, the width, and the spacing of the emitters are dependent on the manufacturer. The relative value of the emitting areas in the active layer with respect to the bar width is called filling factor (FF). Typical filling factors are 30 – 90%. The center-to-center distance between two adjacent emitters is called emitter pitch. Z is the propagation axis of the laser radiation. The propagation axis Y is called fast axis (FA), the propagation axis X is termed slow axis (SA). This is connected with the beam angle (divergence) in the two planes, XZ and YZ. 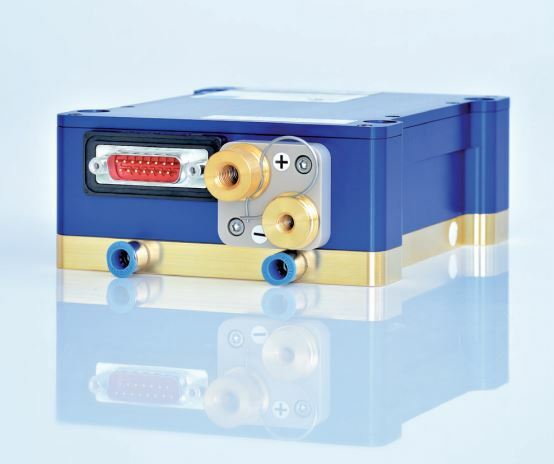 Laser diodes bars and multimode laser diode stacks are available in unmounted laser diode bars, or mounted in conductively or actively cooled packages. 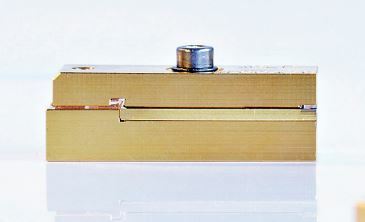 Multiple bars can be stacked in the horizontal or vertical direction to increase the output power. 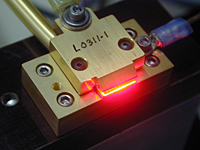 We offer diode laser bars and stacks in wavelengths ranging from 635nm-1908nm in several free space and fiber coupled packages.